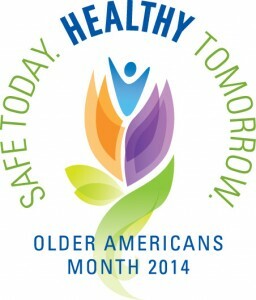 Throughout May, the nation celebrates Older Americans Month. As proclaimed by the president, May is about commemorating the contributions of senior citizens in the society and promoting their quality of life. For 2014, the theme is “Safe Today. Healthy Tomorrow.” This year, the aim is to prevent injuries among older people and keeping them healthy and active. The risk of older people experiencing injuries and facing death is higher as compared to other age groups. In fact, they account for at least 6 million medically treated injuries and 30,000 deaths annually. Since this is the case, the month-long celebration will be focused on raising awareness and helping older Americans stay healthy and live longer. The Administration on Community Living has made available tools that you can use in your organization as you celebrate Older Americans Month. Logos, posters, activity guide, event flier templates, and tip sheets for social media and safety are available for download in their website. These tools can help you jumpstart your celebration as you can get creative as you go. Recreational activities that older people can enjoy and at the same time, bring different generations together. Examples of this are gardening or hosting a cookout. Dancing can also be a fun activity that promotes fitness and good health among seniors. Art exhibits are also creative avenues in raising awareness on how to age gracefully and healthily. In fact, the Healthy Aging Partnership—an alliance between the Seattle-King County organizations and individuals who promote positive aging—is conducting a film festival in celebration of Older Americans Month. The event will showcase short films produced by Washington state residents about older adults, baby boomers, and seniors who live a life filled with energy, vitality, creativity, and compassion. Recognition programs that honor older adults who made a difference and impact in the community. Participating in Older Americans Month doesn’t necessarily mean that you or a group has to organize something lavish. In simple ways, you can show your gratitude and appreciation to your older loved ones through gifts, notes, spending time with them, and educating yourself about the issues they face and finding ways on how to make their conditions better. Older Americans Month began in 1963, when most seniors were living in poverty and only a few programs are available to address their concerns. Interest in their condition developed and in April of that year, President John F. Kennedy proclaimed May as Senior Citizens Month. But in 1980, during President Jimmy Carter’s term, the event’s name was changed to Older Americans Month and it has been that way up to this day. Originally, the month of May was designated to celebrate the contributions of older persons in defending the country. But as time passed, it became more than that. Today, Older Americans Month is also focused on uplifting the quality of life of seniors by helping them address their concerns in order to have a long and healthy life. This entry was posted on May 21, 2014, 3:08 am and is filed under Reblog. You can follow any responses to this entry through RSS 2.0. You can leave a response, or trackback from your own site.